ETHEL M. (WERTZ) DEMATTEO-BECK, is a 1965 graduate of Kutztown Area High School, and a 1966 graduate of Allentown School of Cosmetology. She is a dedicated member of Saint Paul’s United Church of Christ, Kutztown. She is also a member of the Kutztown Area Historical Society, Kutztown Fire Company and Fraternal Order of Eagles, Arie 839, Kutztown. Prior to retirement, Ethel worked as a Hairdresser, Bookkeeper, Secretary and Caregiver. Ethel lives in Kutztown with her husband, Brian, and has two children, Christina (Dematteo) Luckenbill and Marcie DeMatteo; two step children, Scott Beck and Jennifer (Beck) Kleiman; and eight grandchildren, Jarad, Tyler, Sydney, Christian, Phillip, Allan, Mitchell and Ellayna. 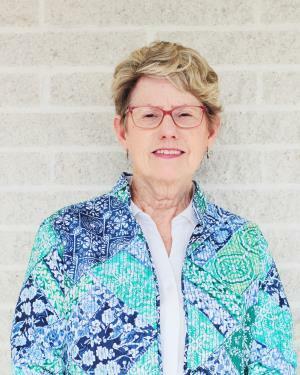 In her free time, Ethel enjoys reading, gardening and flowers, kayaking and boating, going for walks, going to the casinos and spending time with her family and friends. She has been a member of our funeral home staff since 2017.